During the E3 Conference, Bethesda Game Studios revealed that a new game under the Elder Scrolls series is coming to iOS and Android later this fall. The game is called ‘The Elder Scrolls: Blades’. The game is a free-to-play RPG title. Apart from this, there was no word on the in-app purchases. So let’s dive in to see some more details on the game and when can you pre-order it. The story revolves around you taking the role of a member of the ancient order of Blades. Your task is to rebuild and restore their ramshackle hometown to its former glory after you have been exiled from the order. According to Bethesda, the title “contains the many hallmarks”. …beautifully rendered, console-quality environments, powerful magic, tons of gear to collect, upgradeable skills and of course, real-time fantasy battles! 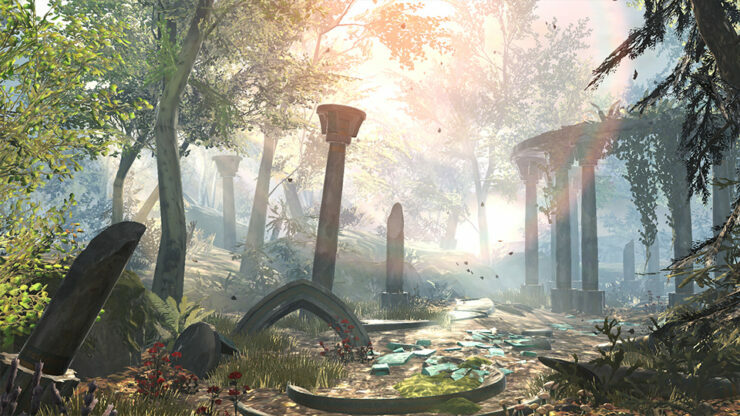 Just like other Elder Scroll titles, Blade will be a first-person game and will be operated via touch controls. You can swing your sword, cast spells, deflect and much more. 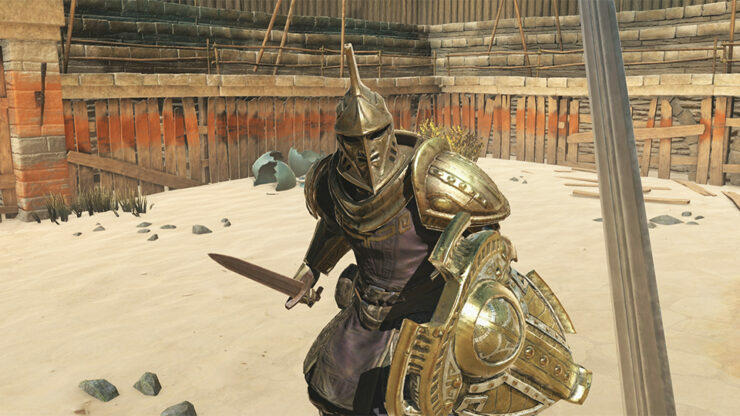 You can fight one-on-one combats in the Fighting Arena in real time with other players as well. Moreover, the roguelike Abyss mode hides the treasure in an endless dungeon. 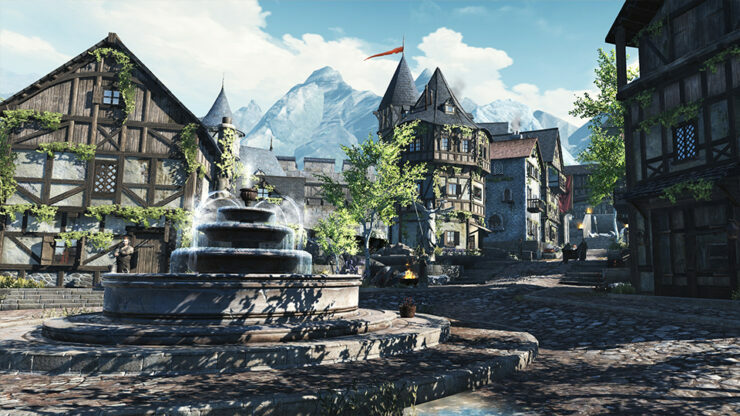 Other than this, the single-player campaign will allow users to rebuild the town. You will have the ability to customize the city to their liking as it expands. While the modes may be different in nature, every one of it features both two-handed landscape as well as a one-handed portrait setup. To switch between them, all you have to do is rotate your smartphone and you’re good to go. The game was demonstrated running on the iPhone X at the conference. If you’re interested, you can pre-register for the game before June 15 to be part of the early access program. If not, the game will be rolled out to the general public later this year. Apple has also featured the game on its App Store in a sneak peek article, this is where users can pre-order the game. You can pre-order from this link with an expected release of September 1. Check out more details here. There will be more to the story, so be sure to stay tuned in for more E3 coverage. This is all for now, folks. 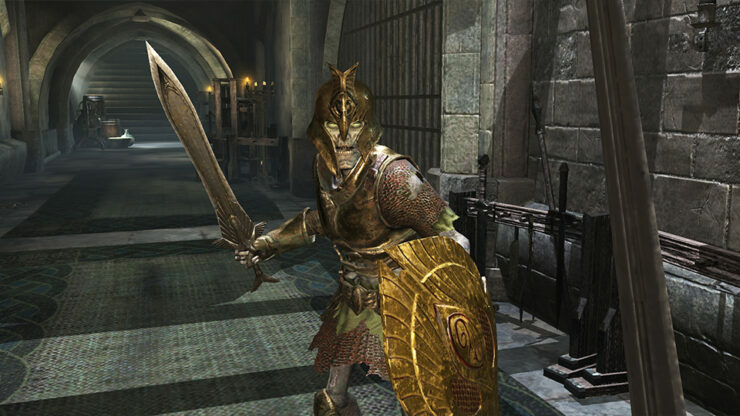 What are your thoughts on the Elder Scrolls: Blades mobile title which will be available on iOS and Android later this year? Let us know in the comments.